Bernardine Dohrn and Bill Ayers : Come to Chicago! Graphic by Dave Wittekind / The Rag Blog. UPDATE: In a major development, the G8 summit has been moved from Chicago to Camp David by President Obama, who apparently gave Chicago Mayor Rahm Emanuel only an hour’s advance notice of the move. 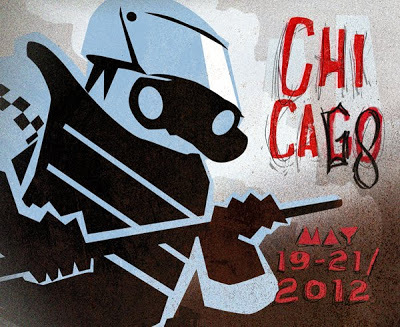 The NATO gathering will still be held in Chicago. There is speculation about a widening rift between Obama and Emanuel. Mayor Rahm Emanuel today wouldn’t get into the particulars of why Chicago lost the G-8 summit in May, deferring to President Barack Obama. The mayor was touting the importance of Chicago hosting the back-to-back G-8 and NATO gatherings of world leaders as late as Monday morning. Hours later, the Obama administration announced it was yanking the G-8 summit out of Chicago in favor of Camp David. 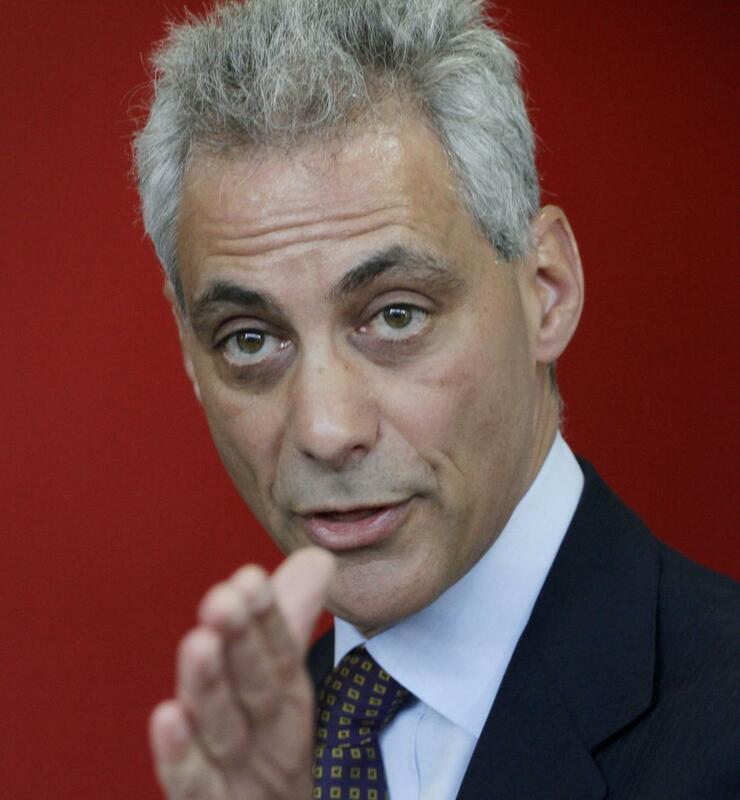 The mayor said he saw no slight or embarrassment for Chicago in President Barack Obama’s move. Emanuel, a former White House chief of staff, said he “takes at face value” Obama’s explanation that Camp David would be a more relaxed setting in which the world’s leaders could connect. The Group of 8 Summit, a meeting of the governments of the world’s eight largest economies, was supposed to convene in Chicago this May. 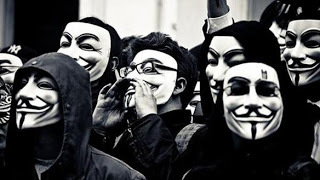 For months, Occupy Chicago, international anti-war groups, Anonymous, and hundreds of allies have publicly planned to shut it down. Now, only two months before the meeting is scheduled to begin, U.S. President Barack Obama is moving the assembly of over 7,000 leaders from the world’s wealthiest governments to the Camp David presidential compound, located in rural Maryland near Washington, DC, one of the most secure facilities in the world. The Chicago Tribune reports that summit organizers are “stunned” by the news. The prospect of such a response [from massive demonstrations], and the political context in which it will take place, was enough to force the Obama administration to reconsider bringing the G8 summit to the president’s hometown and the site of his re-election campaign headquarters. Chicago activist Andy Thayer, who is working with a coalition of groups in preparation for the May summits told the Associated Press on Tuesday, “Guess what? The protests are going to happen anyway.” There is also a possibility that activists will follow the G8 to Maryland. The tiny fraternity of concentrated wealth and power that calls itself the Group of Eight (G8) is meeting in Chicago in mid-May, overlapping with representatives of history’s largest global military cohort, NATO (North Atlantic Treaty Organization), the gently self-named military behemoth dominated by the U.S. Heads of state, spooks, foreign ministers and generals, cabinet members and secret operatives, advisors and bureaucrats — the 1% of the 1% — plan to gather in barricaded opulent surroundings while coordinating and conspiring to extend and defend their obscene wealth, to exploit the remaining fossil fuels, natural resources, human labor, and the living planet, to the last drop, and to dominate the people of the global majority. A 1984-style national security dragnet is descending on the city to attempt to lock Chicago down. Chicago’s Mayor is concocting a culture of fear, suggesting that it is the human resistance to NATO/G8 that represents danger, outside agitators, violence and invasion. Universities and schools are being urged to close early in May; communities of color are told that this is not their concern; merchants are preparing for assault. In reality, NATO/G8 represents the masters of war; it is they who are the greatest purveyors of violence on this earth. NATO/G8 will not be alone in Chicago: Occupy’s 99% will gather in a festival of life and peace, joy and justice. Two permitted, family-friendly rallies at the Daley Center and marches for justice, jobs, and peace are scheduled on May 18 and 19 (and perhaps another on May 21). Music, dance, teach-ins, and peoples’ tribunals will overflow the parks and theaters. We will all be there to open Chicago back up. In the spirit of the Arab Spring and Occupy, the Madison labor struggle, the Pelican Bay hunger strikers, teachers and nurses, the Dream youth, returning veterans against the wars, women insisting on reproductive dignity, foreclosure resistance, LGBTQ equality and, many more, Adbusters, CanG8, CodePink, Portoluz, and others have called for people to come from near and far, armed with their spirit and their creativity, pitching their tents and staking their claims. But Chicago is big enough for all — it is after all a nuclear-free and cease-fire city, cradle of the Haymarket martyrs and the eight-hour day, labor and peace actions, vast civil rights and immigration rights manifestations, home of Ida B. Wells Barnett, Jane Addams, Richard Wright, Gwendolyn Brooks, and Studs Terkel. The rich and the powerful do gather here, but Chicago is a public space with historic parks, monuments, neighborhoods, and streets for popular mobilizations as well — Chicago belongs to all of us. We underline the right — the moral duty — to dissent and demonstrate, to resist and to be heard, to participatory (not billionaire-paid-for) democracy. Mayor Emanuel can still change course, and he should; so far he has obstinately and foolishly chosen to frame mid-May solely in military and security terms. The mayor, not the popular resistance, is creating conditions — once again — for a police riot in Chicago against people who have every intention and every right to assemble peacefully deploying humor and music, art and play, civil disobedience and imagination, to forcefully express rejection of imperial and permanent wars, to challenge racial/ethnic/gender discrimination and hate, to demand justice, education, health care, and peace, women- and gender-dignity, the opportunity for meaningful work and reversing epic income disparities, an end to mass incarceration, and the urgent need to shift course and live differently for the sake of the planet and future generations. Join us in Chicago in May (or, if you can’t come, act in solidarity — Occupy the suburbs, cities, and communities across the land): stand up for civil and human rights, exercise your voice and be a witness, act up and speak out. Be part of a wave of people power, creative direct non-violent action, and the most vast, determined resistance in memory. This entry was posted in Rag Bloggers and tagged Bernardine Dohrn, Bill Ayers, Chicago, G8 Summit, NATO/G8, Occupy Movement, Social Action. Bookmark the permalink. 2 Responses to Bernardine Dohrn and Bill Ayers : Come to Chicago! Anyway, Occupy the Future, Occupy Everywhere ! Thanks, Didier. I added an update a little while ago.